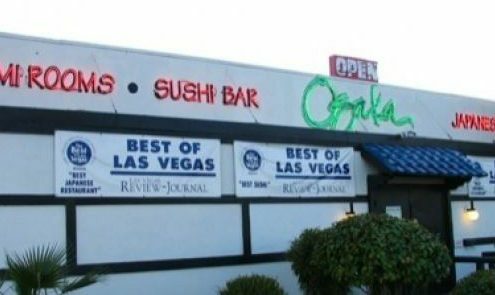 Among locals, the iconic Osaka Japanese Bistro, sitting quietly in a shopping strip along Sahara Ave, holds many fond and delicious memories. This original location reflects the history of Las Vegas, with photos and mementos of the early days. 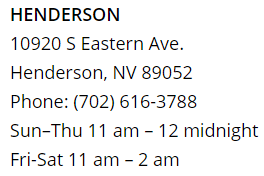 It’s still conveniently located just blocks off the Las Vegas Strip, and enjoys a large amount of Las Vegas tourist traffic as well. Many loyal fans return again and again. And why not, the menu is so large and diverse, it could take dozens of trips to sample it all! 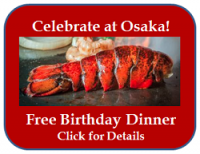 The Nakanishi family built Osaka on authentic, award-winning cuisine. 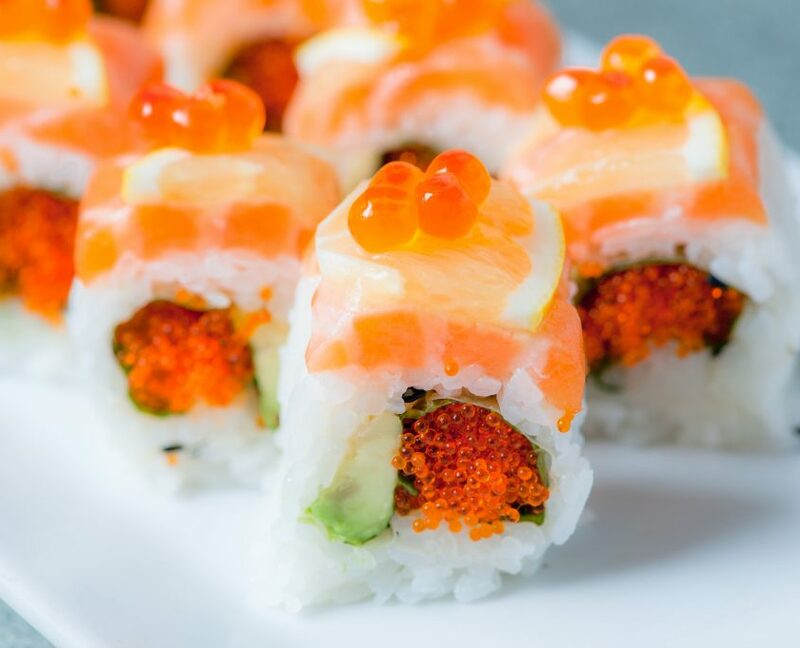 Using only the freshest fish, the sushi chefs at Osaka whip up a fantastic variety of sushi flavors, featuring original recipes that deliver an exquisite eating experience. Expert sushi chefs craft and serve the freshest sushi around. Choose from a huge selection of tastes and textures. 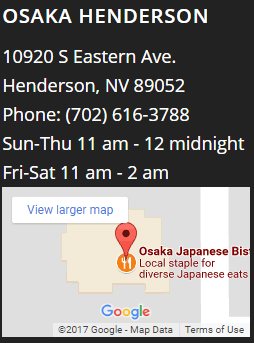 The teppanyaki experience at Osaka is one of our customers’ favorites. And why not? It’s quite a show and the food is hot, fresh and delicious. 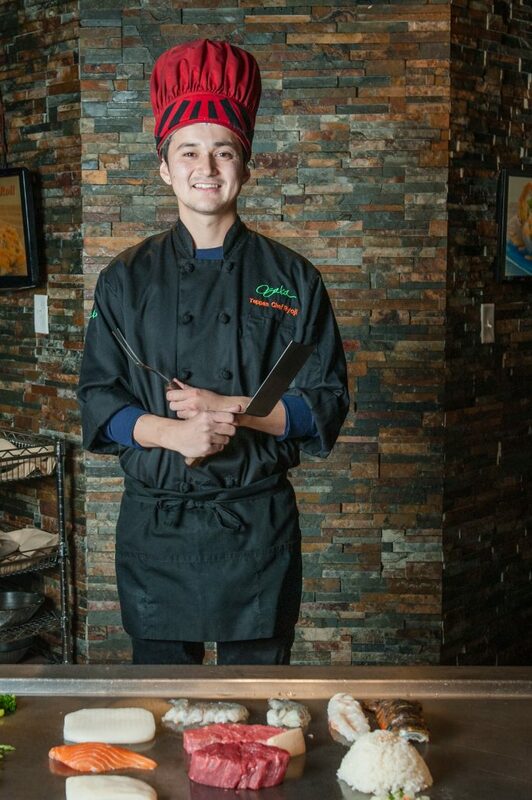 Our master teppan chefs chop, toss, flame and cook their way to a perfectly grilled meal for you and your guests. 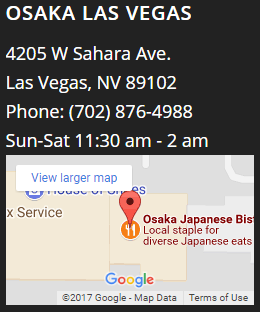 Whether you choose to dine at our sushi bar,at the teppan grill, in a traditional tatami room or a table, come and enjoy Osaka Japanese Bistro on West Sahara and get another taste of the real Las Vegas.